I wanted to share with you a few new designs that I made this week for pillows. They are done in linen, pre-washed prior to cutting, and personalized with embroidery or vintage buttons. The cases have a zipper and are proudly wearing an authentic Cottage by Design label. They are shown with a down and feather insert. 1. Where is it going (bedroom, living room, nursery, outdoors)? 2. Who is it for (couple, child, gift, male or female)? 3. What is your design aesthetic (modern, feminine, clean lines, frilly, sophisticated)? 4. How will it be used (seen but not touched, kids and a dog)? 5. Anything else I should know (moving soon, hate/love a certain color, need it yesterday)? From there, I can get a feel for who you are and what you are going for...So, need a room spruced up? Not sure how to pull it all together? Give me a call! Let me know how I can help. My good friend Jeni asked me this morning if I wanted to go into LA to do a delivery. "Maybe we'll have time to hit the fabric district...wanna come?" Sure. Why not? I could always use more fabric. Those of you who have visited my Cottage are probably thinking to yourselves..."How in the world can she pack any more into that little studio?!?" Well, there's always room for more breathtakingly gorgeous textiles. So off we went. Be open to the possibilities in life. You never know when or where blessings will reveal. Whether it be true friendship, or, heavenly pink linen! Perfect weather to sit inside with slippers on and coffee in hand. It's been raining here in southern CA. Barely ever happens... I didn't want to make the long commute (really only 50 feet) to the cottage to sew, so, I've been cozy at the computer. I've been dabbling in Microsoft Frontpage, trying to figure out how to build a website, for a few years now. My attempts have been in vain, never making it very far before I throw up my hands in frustration and walk away in a huff. Cue angels singing and clouds parting. Let the rejoicing begin! Armed (again) with google, I found a website that is teaching me how to use Frontpage! Simple, to the point, LUV IT! I had NO idea how off I was. Stay tuned you guys. Will let you know when I have something updated for the website. 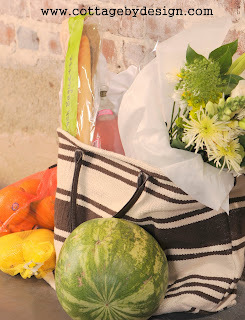 We all have to shop for groceries, right? And we should all reduce our carbon footprint. So why not do it in style with these adorable tote bags? They are roomy, cute, and durable. 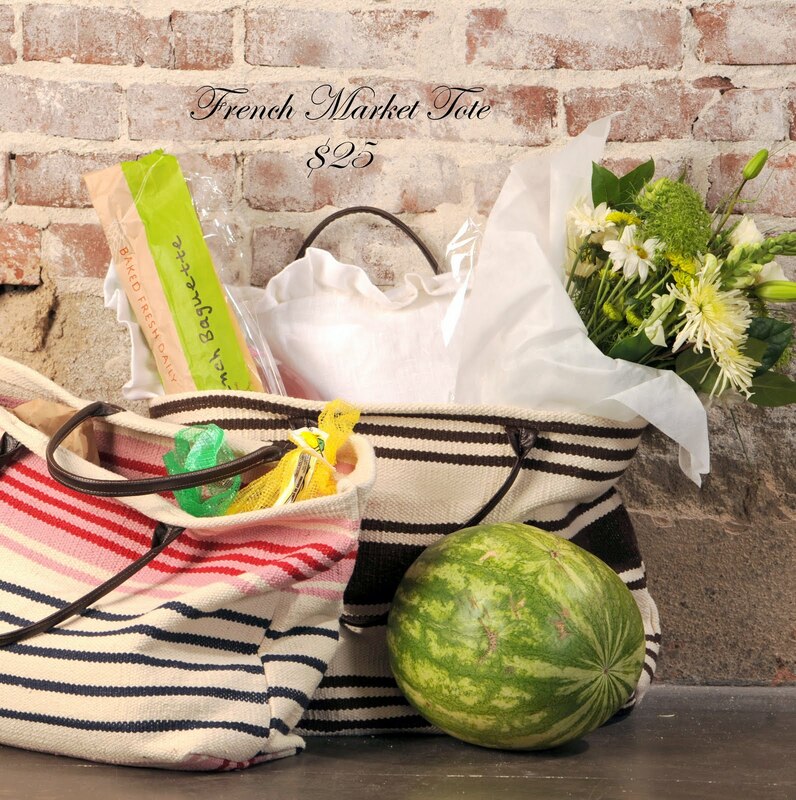 Do your part and "go green" with these reusable French Market Totes. Pushing through the "next phase"
So, for the longest time if been thinking about taking the leap into technology. You know...all things etsy, twittering, facebook and being more committed to blogging. I was talking about it with a close friend who suggested that I hire someone to help me get it going. So I'm dusting off the laptop and my digital camera. Gonna prove that I'm not too old, too set in my ways, or too easily distracted. So what if I make mistakes! This is me being committed to putting in the time! !